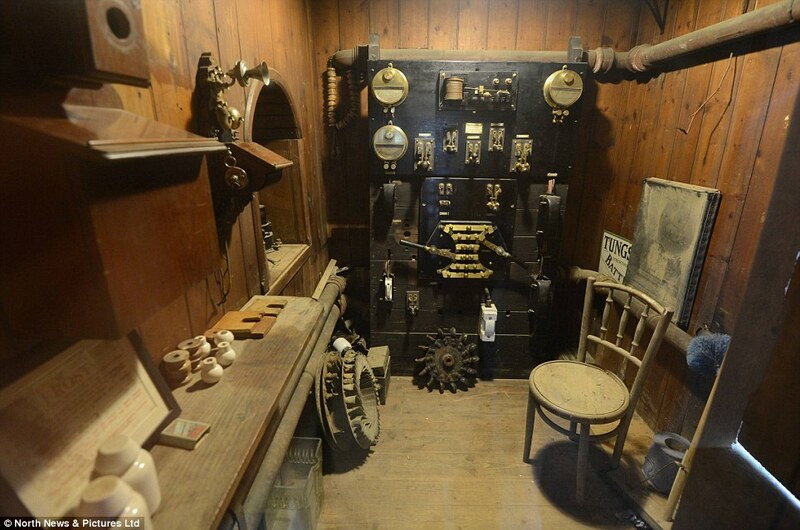 Nearly a decade before Thomas Edison began working on incandescent lamps and a more affordable way to bring the bright world of electricity to Victorian homes, a fine country house near the town of Rothbury in Northumberland, England, was lit entirely by electricity. In those times, there was no national electric grid you could tap into. If you wanted electricity, you had to generate it yourself. Most people did not have the technological knowhow or the inclination to light their houses with electric lamps. Even if some of them did, they probably didn’t have the money to bring their desires to fruition. But William Armstrong was an inventor and a wealthy industrialist. 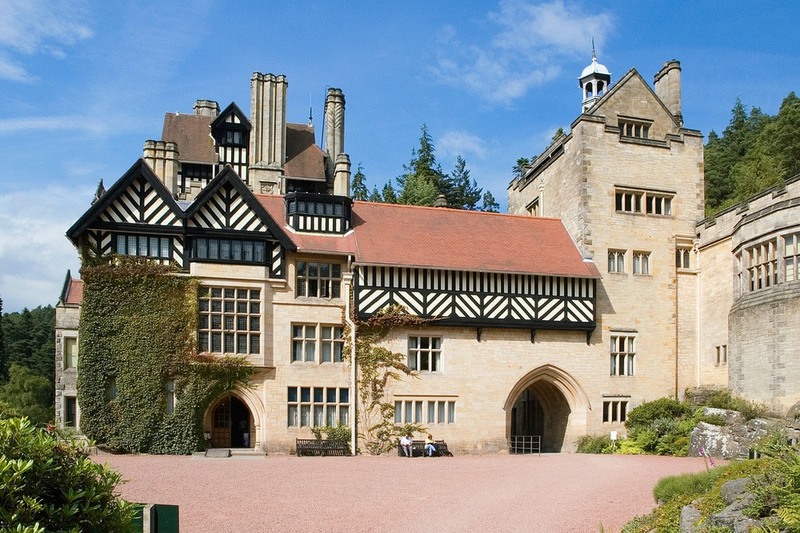 Together with architect Richard Norman Shaw, William Armstrong built Cragside, a modest mansion in mock Tudor style set on the slopes of a small hill just outside Rothbury. He then equipped the house with all sorts of wonderful inventions such as a water-powered laundry, an early version of a dishwasher, a hydraulic lift, a hydroelectric rotisserie, a dumb waiter (a small elevator that moved good between floors), among other things. To power all these machines, Armstrong dammed a number of small streams in the area to create a total of five reservoirs. On one of these, he installed a hydraulic engine which drove the many hydraulic machineries in his house. A year later, in 1870, Armstrong installed a dynamo creating the world’s first domestic hydroelectric plant. Electricity from this plant was used to power Cragside and the many farm buildings on the estate. The first room to be electrically lighted was the gallery. Only a single arc lamp hung from the ceiling. Later, the entire house was wired for electricity. At one point there were twelve overhead lamps in the gallery alone, and eight additional lamps that could be turned on when the lamps in the dining room were no longer required. Armstrong continued to extend and improve his power plant increasing its capacity by many fold. But after his death, the house lay abandoned and after nearly a century of neglect, the house’s original power source was restored in 2006. A further upgrade in 2014 raised the generators’ capacity to 12 kW, enough to light all 350 light bulbs in the house. Armstrong’s lifelong love affair with water began when he was very young. When fishing one day on the River Dee at Dentdale in the Pennines, he saw a waterwheel in action, supplying power to a marble quarry. It occurred to him that only a small part of the water power was being used to drive the wheel, which made him think how great the force of water would be if its energy could be concentrated in one column. When he returned to Newcastle, he designed a rotary engine powered by water, and this was built in the High Bridge works of his friend Henry Watson. Armstrong subsequently developed a piston engine instead of a rotary one, which he installed in what became the world’s first hydraulic crane. Armstrong became a successful businessman manufacturing hydraulic cranes. He received orders from Edinburgh and Northern Railways and from Liverpool Docks, as well as for hydraulic machinery for dock gates in Grimsby. On average, Armstrong’s company manufactured one hundred cranes per year. During the Crimean War, Armstrong designed a light, mobile field gun having greater range and accuracy than any of its rivals. 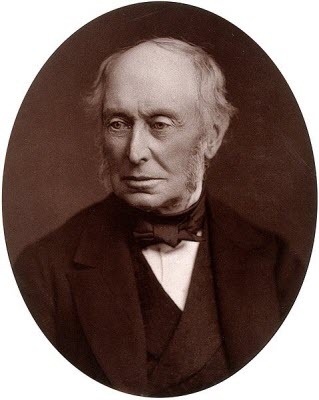 Armstrong than turned over the patents for his guns to the British government, for which he was knighted and was appointed engineer to the War Department. By the 1880s, his company had expanded into ship building. His shipbuilding yard stretched for three-quarters of a mile along Tyneside and was the only factory in the world that could build a battleship and arm it completely. As Armstrong grew older, he began to devote more and more time to his favorite occupations, which was—aside from electrical experiments at Craigside—planting trees. Armstrong planted over seven million trees and shrubs around his estate, appreciably changing the climate in this corner of Northumberland. After Lord Armstrong’s death in 1900, the family fortune was lost and the house was deserted. 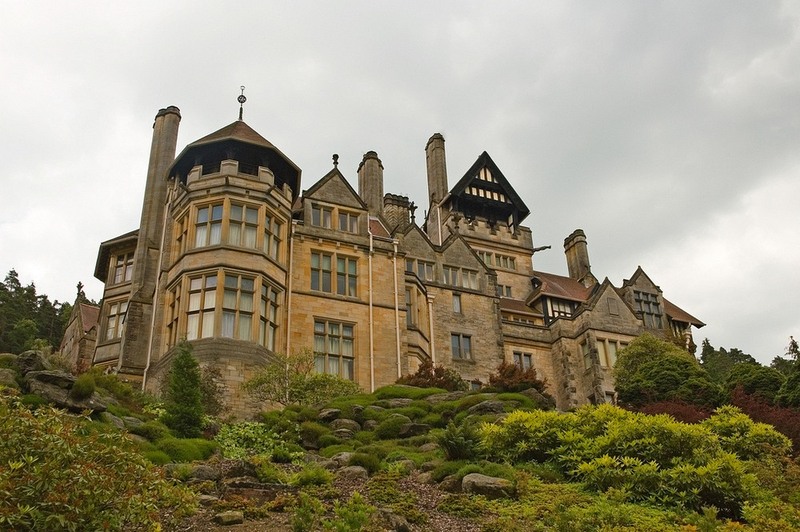 In 1940, Cragside was taken over by the Army and billeted as part of the war effort. When they left, the property was linked up to the national grid. The house was opened to the public for the first time in 1979. 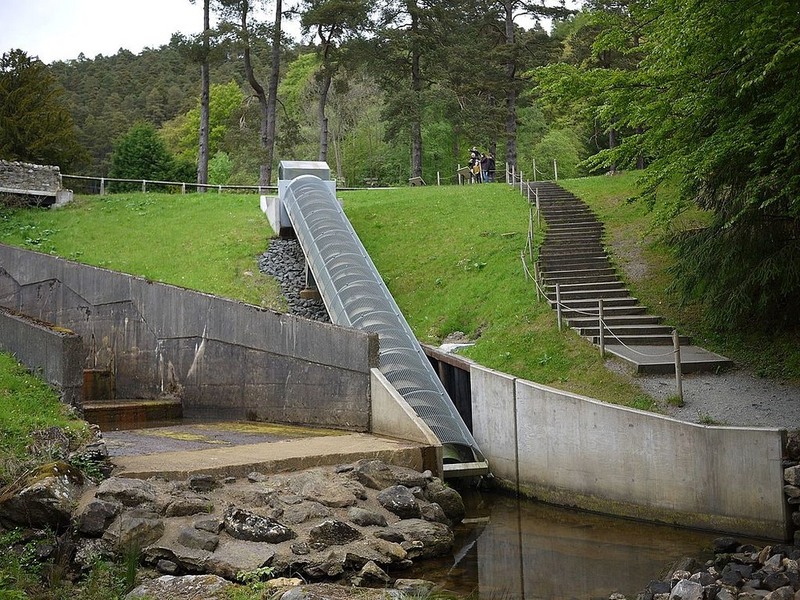 The original hydropower cylinders on the Northumberland estate's grounds from Victorian times. 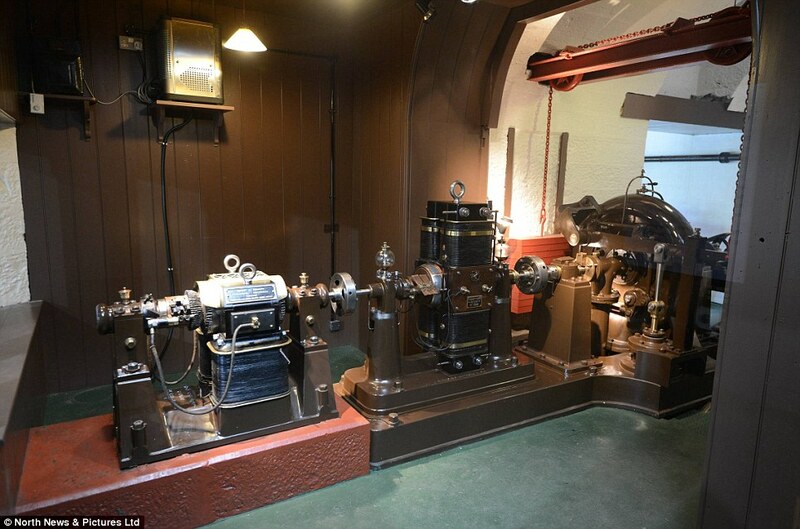 The original hydropower cylinders on the grounds which Lord Armstrong used to power the estate.